Eclectic Indulgence... classic literature reviews: I won an award! I opened up my mailbox this morning and learned that this site won it's first award! Yay! 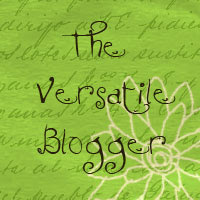 I am the proud recipient of "The Versatile Blogger" Award! 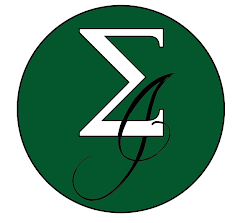 Upon a review of the presenter's website, Ordinary Reader, I found out that there doesn't seem to be any rationale for this award at all except that as a condition of acceptance, I need to send this award to 15 fellow bloggers and tell some 7 interesting facts about me and link to the presenter's site (see above). I'm going to scale this back a little since I'm new to the community and I think it may lose a little something if you keep linking to 15 people. I'm instituting a top three. 1. The last party I went to was in a mattress store. I'm being serious, and it's a long story. 2. Some of my fondest memories of books include when my grandmother used to read me "The Wind in the Willows" and when my grandfather gave me a book that was dear to him because it changed his life (self-help). 3. I started biting my nails due to The Bernstein Bears book entitled "Bad Habits." I thought it was a stupid thing that no one would do, so I tried it and two decades later I'm still a nail biter. 4. My one bedroom apartment contains 5 overflowing bookshelves... and four of them are taller than my 6+ feet. 5. My favourite book is "The Catcher in the Rye" - hardly eclectic now due to it's popularity. 6. If I became rich, the first purchase I would make is a complete leather bound set of the works of Ernest Hemingway. Yes, I am one of those leather book people. 7. My favourite place to read is next to a lake in the summer, in a hammock with a slight breeze on my face.